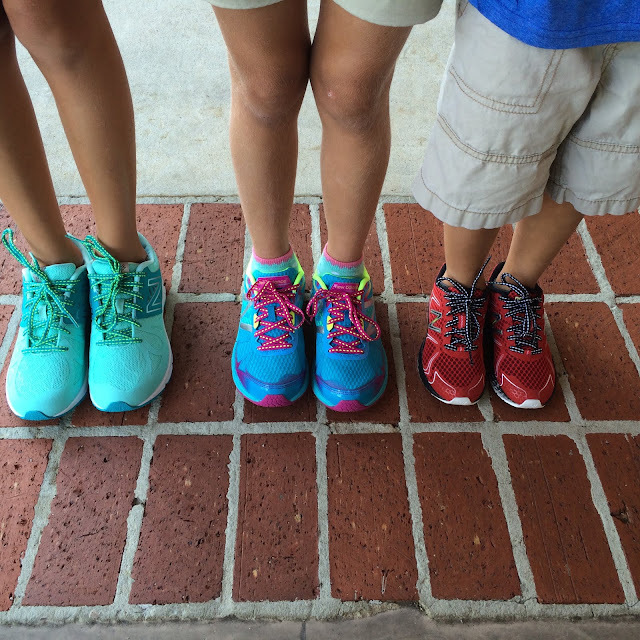 Today's post is all about teaching your kids to tie their shoes! One of my biggest pet peeves is when kids walk around with their shoes untied. It drives me crazy. I'm constantly tying kids shoes when I'm volunteering at the school and it baffles me how they can run around all day with them untied and it not even bother them. I have now successfully taught 3 kids to tie and each time has been a little more difficult than before. Little Mama was a breeze. She learned in like a day. Blondie learned how, but couldn't get them tight enough for her liking so still asked me to tie her shoes for her for a long time. Boo-Boo. Well he was another story. 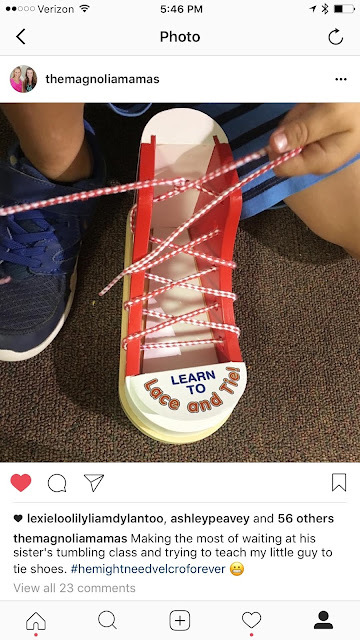 I tried using this Melissa and Doug Learn to Lace and Tie shoe that I used for both of the girls before they owned tie shoes a while ago, but the laces just ended up in a jumbled mess. Fast forward a few months and all of the sudden we were owners of new tie shoes and I just had to tie them for him everyday. 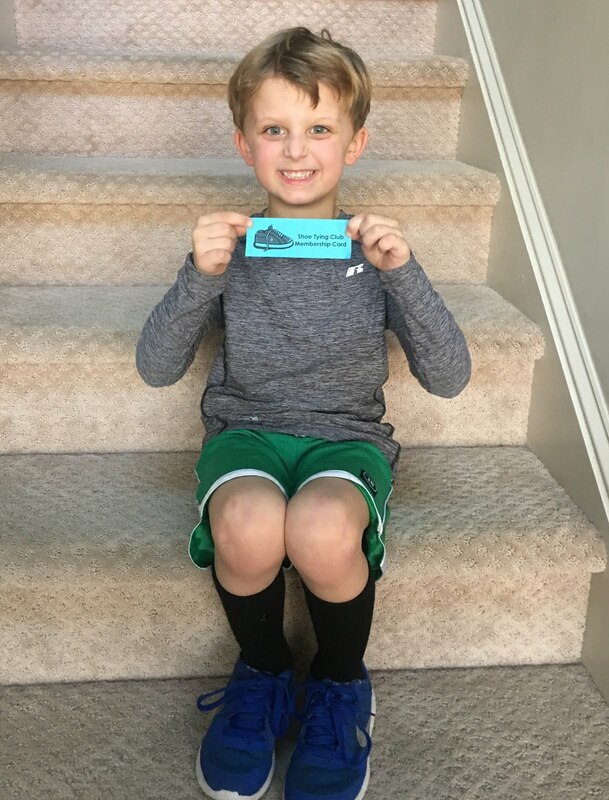 Then recently his teacher started talking about the shoe tying club in her class. If they could show her they knew how to tie their shoes they got to be in the club. 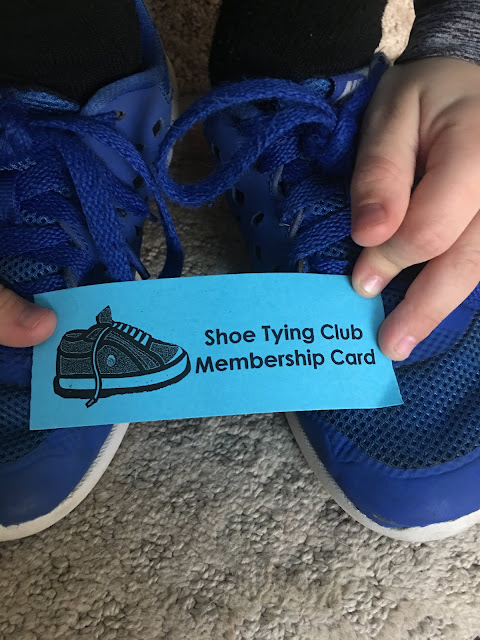 New members would receive a Shoe Tying Club Membership Card and they got ice cream at snack time. That was all the motivation my little guy needed. We practiced the traditional way, but it was just not happening so then I saw THIS video my mom had shared with me and I taught Boo-Boo within just a few days. He could do it and got into the club. Woo Hoo! He was so proud. Then I learned of a new way to teach him and it was even easier than the first trick. I couldn't believe my eyes when I first saw it and I really didn't think it would work, but it did! 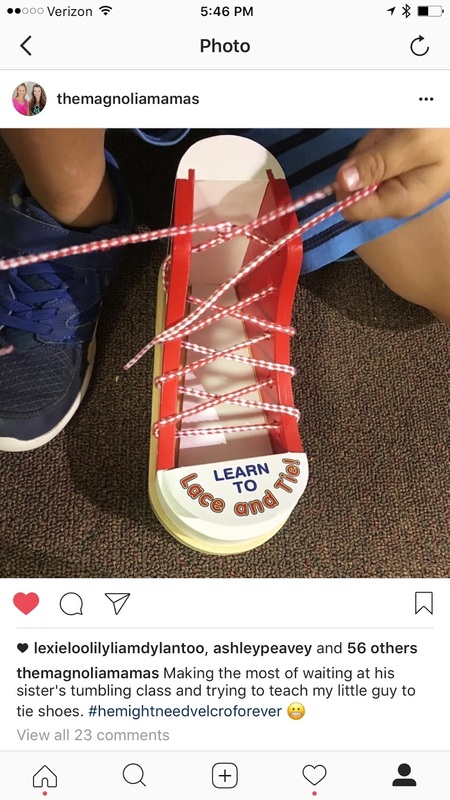 I am not kidding when I say this is the very easiest way to teach your kids how to tie their shoes. I shared this video on my personal Facebook page and had SO many friends comment that they showed this way to their kids and they learned to tie in a day. People who previously had not been able to help their kids master this skill. I knew I wanted to share it with all of y'all, too! Click HERE to see the video with my Boo-Boo explaining and sharing the method. It is easy for them, their laces are tight, double-knotted and totally tied by themselves! 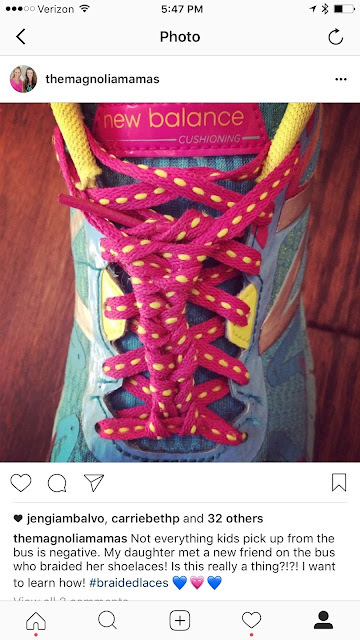 Now I thought I'd also show this fun braided laces video also. Blondie learned this method on the bus last year and apparently it is pretty popular among the 1st and 2nd grade girls. To see how to do your laces like this, watch the video HERE. I love her little quote that my friend pointed out to me. "Sometimes it will turn out wrong, but mostly it will turn out right." As my friend noted...those are some wise words that can be applied to much more than just tying shoes.